Happy Friday everyone! I hope you all have some fantabulous plans this weekend! Before I go any further I want to remind you that the Sea Lore Alana giveaway ends tomorrow (Saturday, August 25th) so don't forget to enter! The link will be at the bottom of the post. 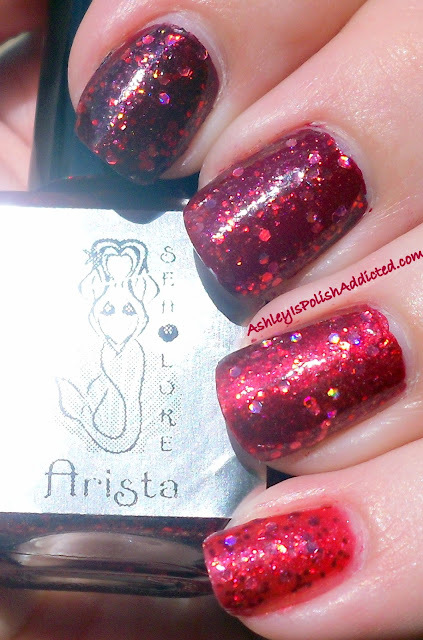 Tonight I have Arista - "Deep crimson jelly polish with red holo hexes and red shimmer." 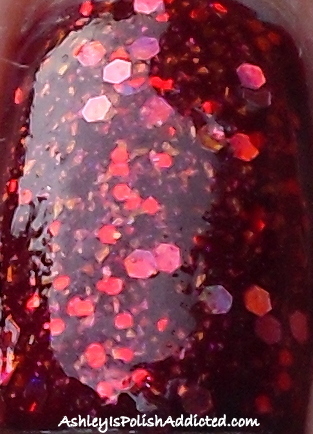 This is one of my favorites of the collection - the shimmer is just crazy. It absolutely glows, even in the shade. As with all of the other Sea Lore polishes, I had no issues with application or formula and there are absolutely no curling glitters whatsoever. (You can see more on the curling glitter issue, addressed by Jamie, here.) 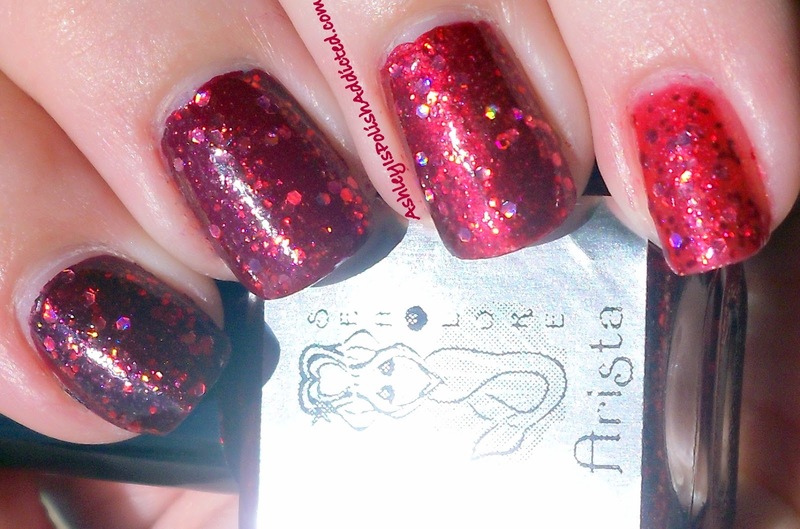 I layered Arista over a different base color on each finger EXCEPT for my pinky where I used 3 coats of Arista over my bare nail. Make sure to check out my first post from Sea Lore week (Sea Lore Adella) for a review of the brand, pics of the packaging and ring and, of course, the giveaway!! Also check out my other posts from Sea Lore Week - Alana, Andrina, Alana over Arizona, Aquata and Ariel.